"Abi, Barrie, Gillian, Hamish, Helen, James, Jane, Jeff, Liz and Peter weren't being listened to by Theresa May's government. Just like thousands of others who don't want fracking on their doorsteps. So they took part in a peaceful protest. Now trial awaits..."
The following is an email from Greenpeace I've received this afternoon... and it's definitely worth a read. As usual when I share those kind of emails, all I ask is that you guys feel free to have a look and act accordingly. Next week, ten people just like you and me are heading to court. Their crime? Saying "No!" to fracking in Lancashire. Abi, Barrie, Gillian, Hamish, Helen, James, Jane, Jeff, Liz and Peter weren't being listened to by Theresa May's government. 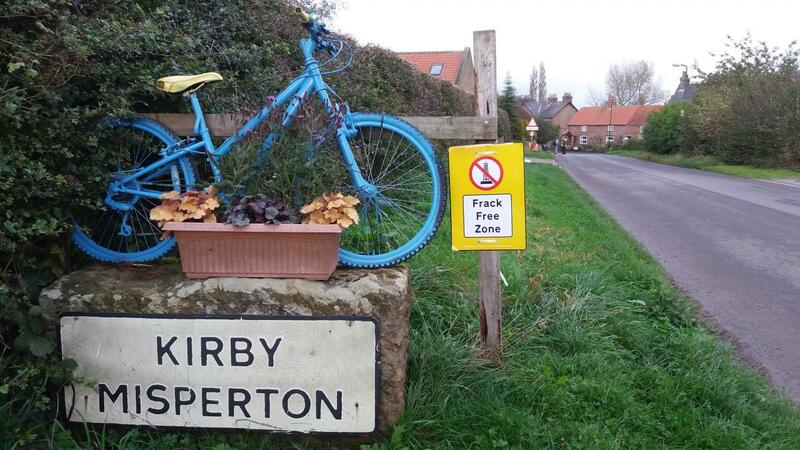 Just like thousands of others who don't want fracking on their doorsteps. So they took part in a peaceful protest. Now trial awaits. Loup, will you help tell their story? Not on Facebook? Watch it here on YouTube. 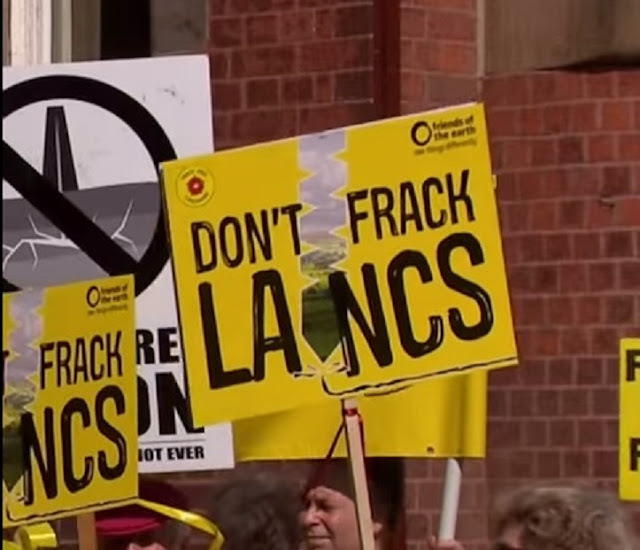 It's been a long road for the people of Lancashire and friends of the anti-fracking community. 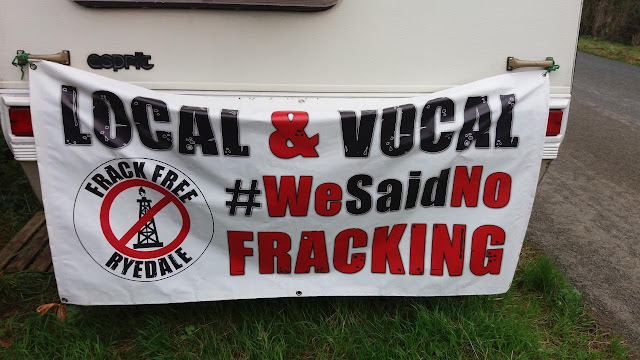 Back in 2015, after years of campaigning by local people, the council voted against plans submitted by fracking company, Cuadrilla, to frack at the site at Preston New Road. But this victory for the people was turned into a bitter miscarriage of justice. Theresa May's government overturned the ruling of Lancashire County Council and put fracking back on the map. The government chose to align itself with a polluting, uneconomic and unnecessary industry – and against the people, planet and local democracy. The defendants heading to trial next week are ordinary people like you and me. After exhausting every possible route to get Theresa May and her friends to listen, they were left with no choice but to participate in a peaceful protest. They stood up to fracking. Let's stand with them. P.S: Want to get active in your area? Or just participate in conversations around our campaigns online? If the answer is yes, then join Greenwire – a community where people come together around the issues that will shape the future of our planet.